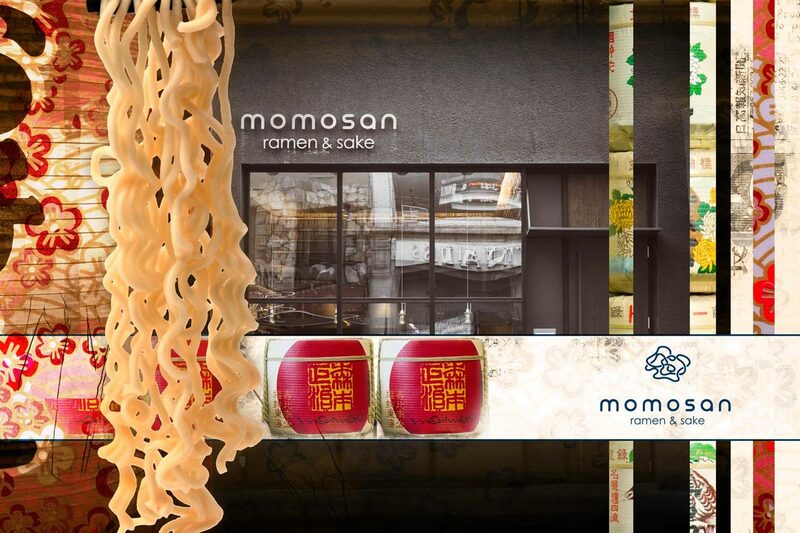 Momosan is a relaxed ramen and sake restaurant by Chef Morimoto. Fun, relaxed and unexpected define the food where you can grab a seat at the bar or with a group. 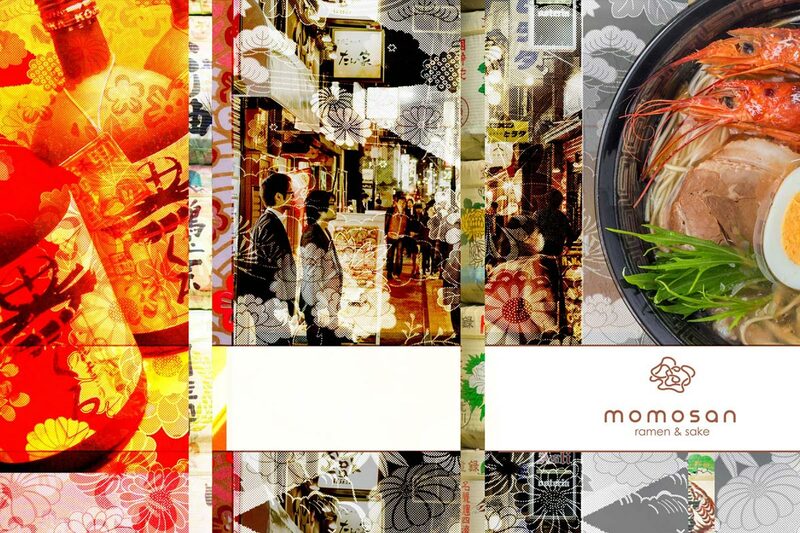 Located in New York, Momosan is a must-try restaurant on your next visit. 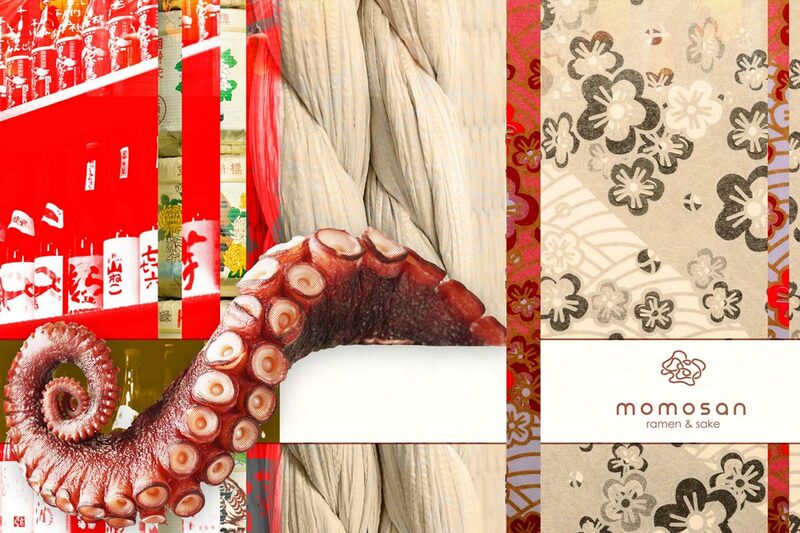 For this project, J Wright Design developed bold and exciting collage concepts that make their way into the website and menu design. The design reflects the fun, rich, and (possibly) inebriated time dining there. Most importantly the goal was to make sure that while the food is world class, the design should be loose and shouldn’t be taken too seriously. An izakaya is a Japanese informal gastropub. 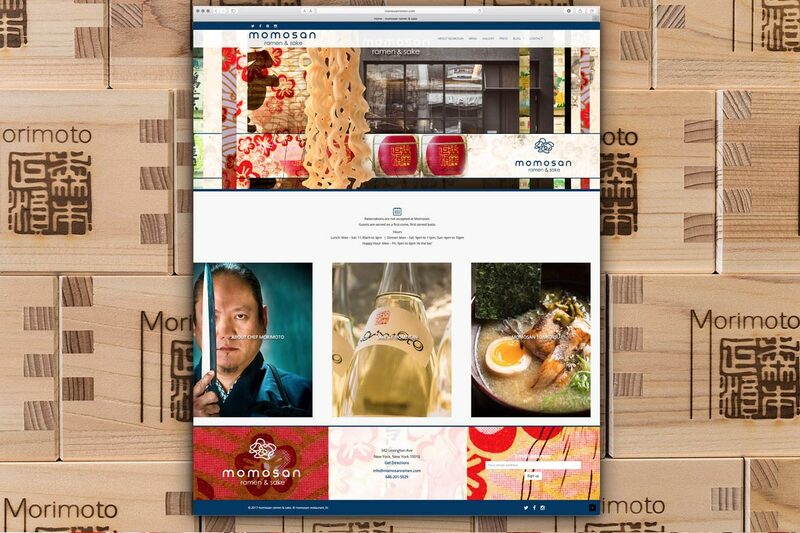 Chef Morimoto wanted to bring this experience to New York, and is defined by a casual neighborhood place to go after work to have a drink and unwind. 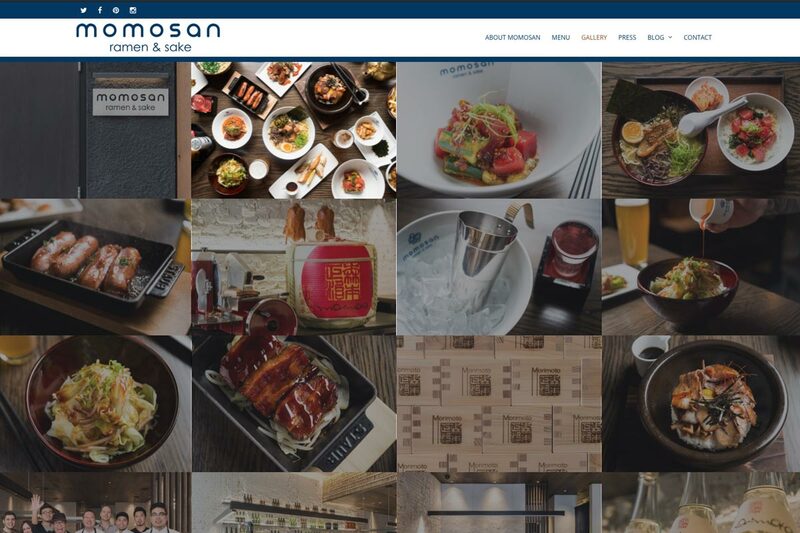 Thus the design of the site and graphics could be a bit more fun and loose when compared to some of the Chef’s higher-end locations.